Fiddler, singer, composer, storyteller, multi-instrumentalist, Anne is known for her explorations into Canadian/World traditions, and for bringing them to life through tune, song and story. Winner: Estelle Klein Award, FMO 2016. Spirit of the Narrows, Anne Lederman’s play about Indigenous FIddling called “Best of 2015” by The View. 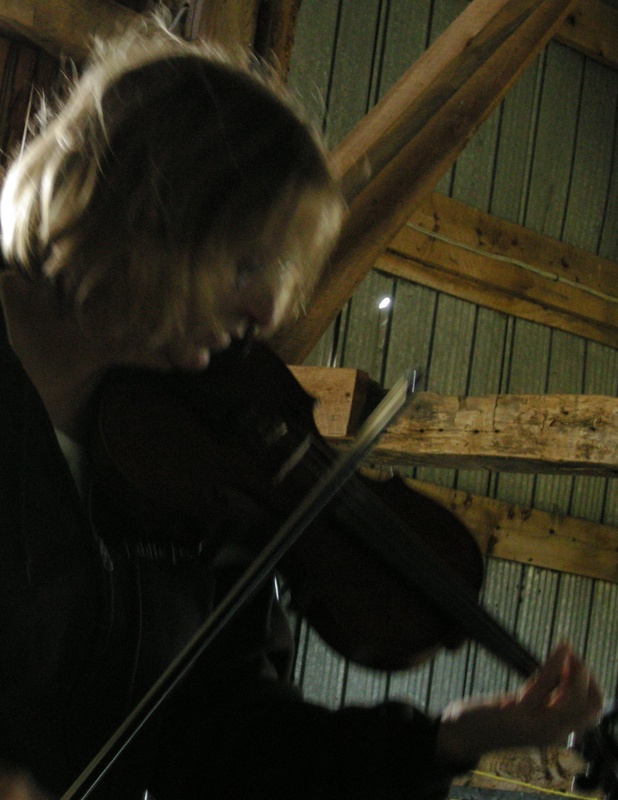 Originally from Manitoba, Anne Lederman is a fiddler, singer, composer and multi-instrumentalist who performs solo, with Lederman/Bell, with Njacko Backo, and with fiddle-based trio, Eh?!. Also a founding member of Muddy York, The Flying Bulgar Klezmer Band and Fiddlesong, she is especially known for her work with Aboriginal fiddle traditions (recording elders, youth mentorship and international performances and workshops) Anne also composes and performs for theatre (Barndance Live!, The Outdoor Donnellys, Spirit Horse and her own play, Spirit of the Narrows), has released five CDs and performed on over fifty with other artists. Her latest, Old Man’s Table, devoted to the Indigenous fiddle music of Manitoba, was released November, 2015. She is at work on Stick Tales, a solo show of stories and music about adventures in the Canadian music world.